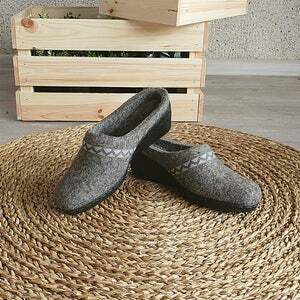 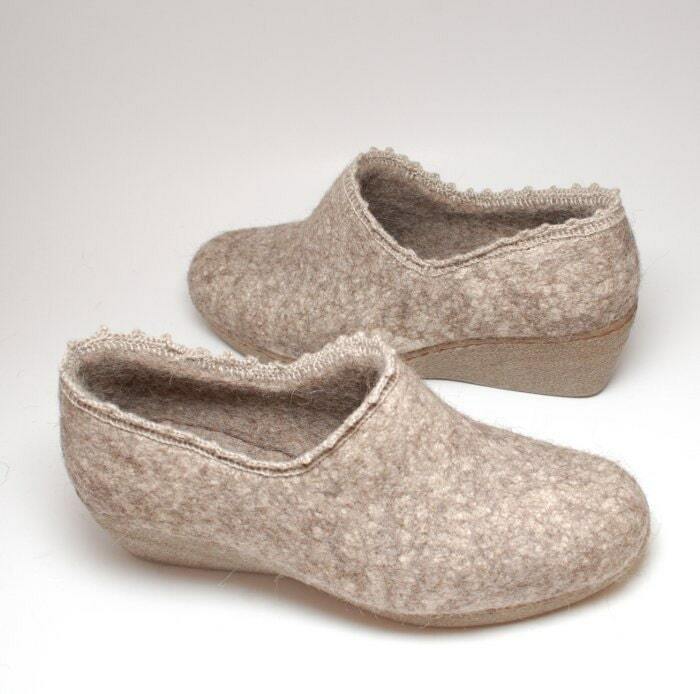 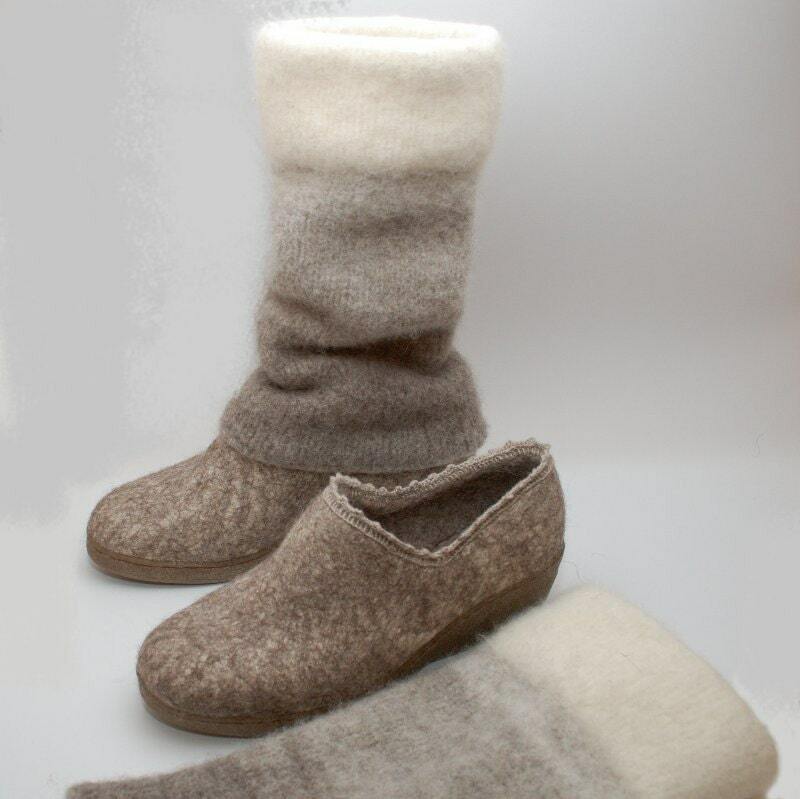 These elegant felted wool wedge shoes are made from natural wool and undyed flax fibers. 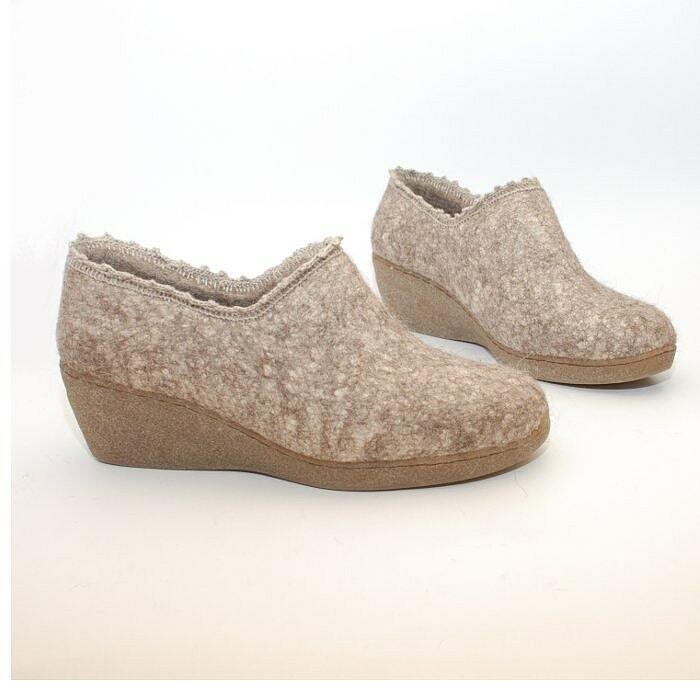 The flax fibers strengthen the wedges and give each pair its own decor. 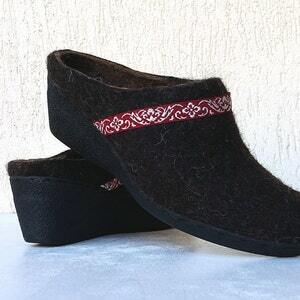 The edges are trimmed with linen crotchet to finish the unique look. 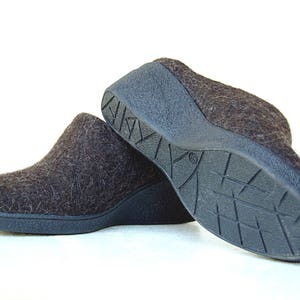 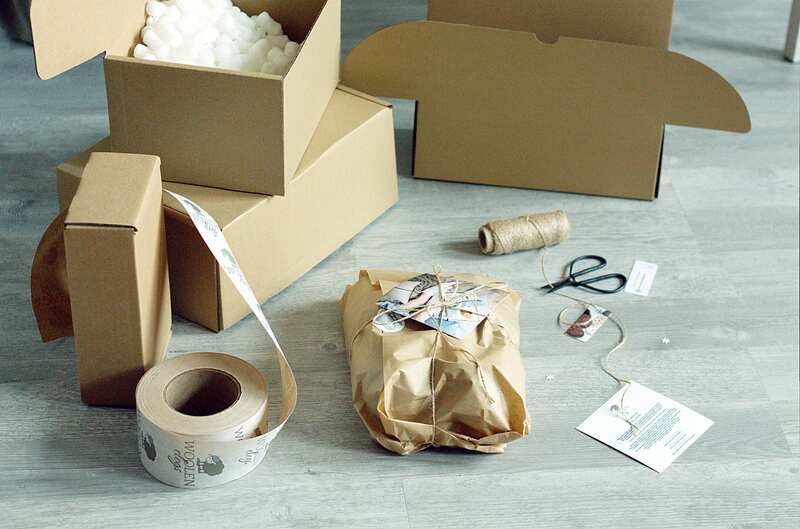 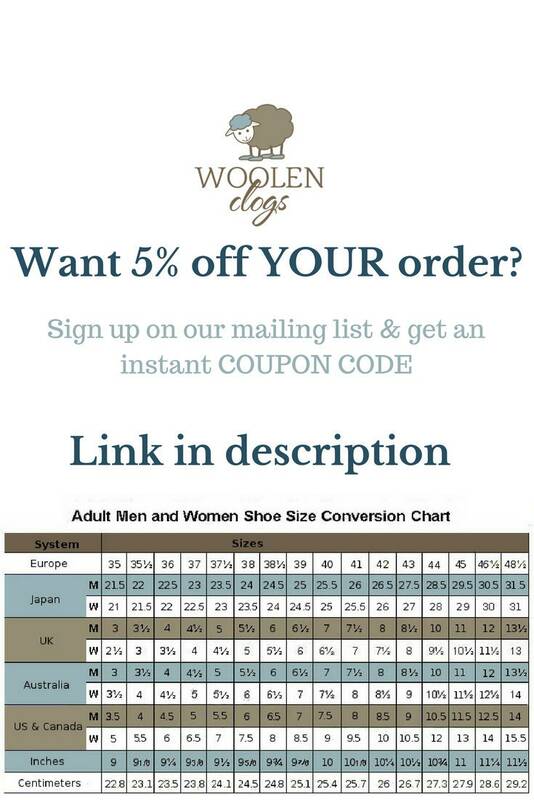 Your feet will look stylish and stay comfy from the moment you put your Woolenclogs on.